Like wine, olive oil or chillies, salt is complicated: it is not just sodium chloride; it can incorporate any number of minerals, texture, colour and taste differences. Most importantly, it has the ability to make or break your meal. Which salt would best accentuate flavour, sharpen the dull or mellow the sharp? Specialist company, Salthouse, has searched the world looking for exquisite salts to offer chefs, mixologists, baristas and food lovers a perfectly tailored solution for every dish. The range is on show for the first time at the Speciality & Fine Food Fair at Olympia, London from 7th – 9th September 2014. A sister company to Peacock Salt, the UK’s largest salt importer based in Ayrshire, Salt House is built on an extensive 140 year knowledge of salt and ocean trade routes. The company is expert in salting processes – from the ancient Japanese method of trickling sea water down bamboo stems to the ingenious Icelandic use of geysers to evaporate water or the classic salt panning in France and many more. Managing Director, Gregorie Marshall, said “Everyone knows that salt can change the nature of a dish. At Salthouse we take it one step further providing the perfect salt to complement a particular dish by targeting specific taste buds and unlocking a new flavour experience. 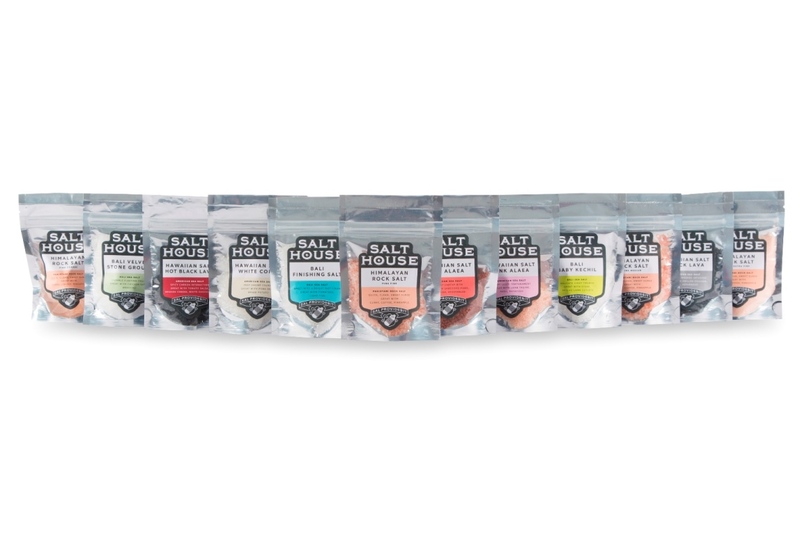 Whether it is the charcoal-washed infusion of Hawaiian Black Lava Sea Salt, the warm sweet and crisp notes of smoked Welsh Sea Salt, or the full and hearty taste of Japanese Sea Salt from the volcanic Oshima Island, it is amazing to be able to appreciate the wonderful variety out there and how it can truly enhance your food. Did you know it’s possible to make a pineapple taste deliciously different in 40 ways with just one further ingredient? Everyone knows salt is vital, but never before have we had the luxury of choice. For more information come and see us at Speciality & Fine Food Fair in London from 7th - 9th September or search the rest of the website!